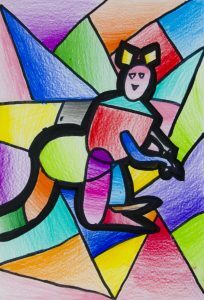 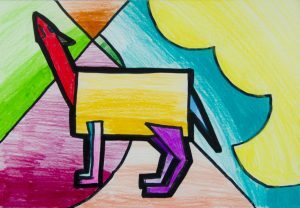 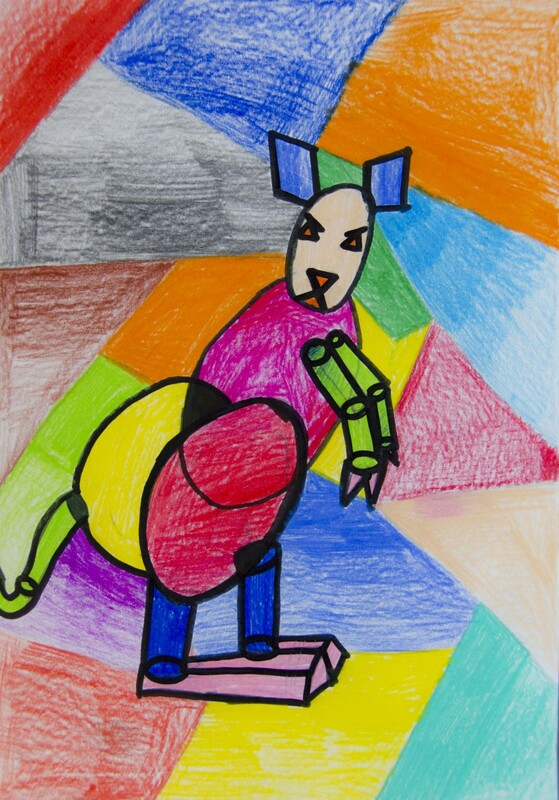 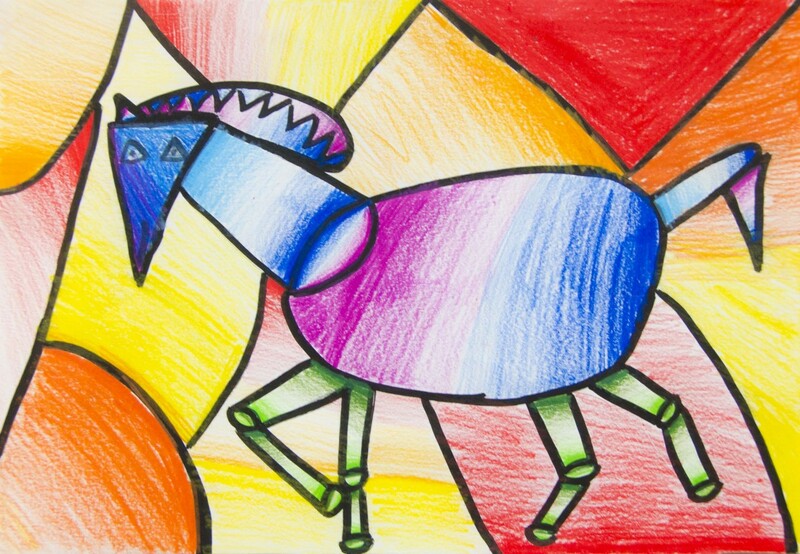 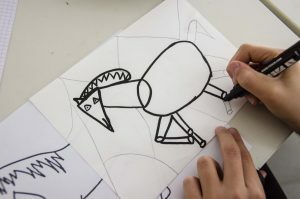 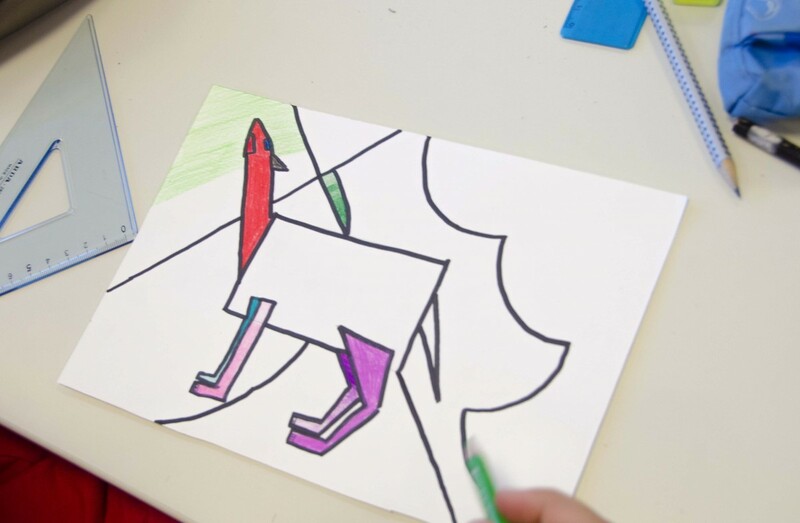 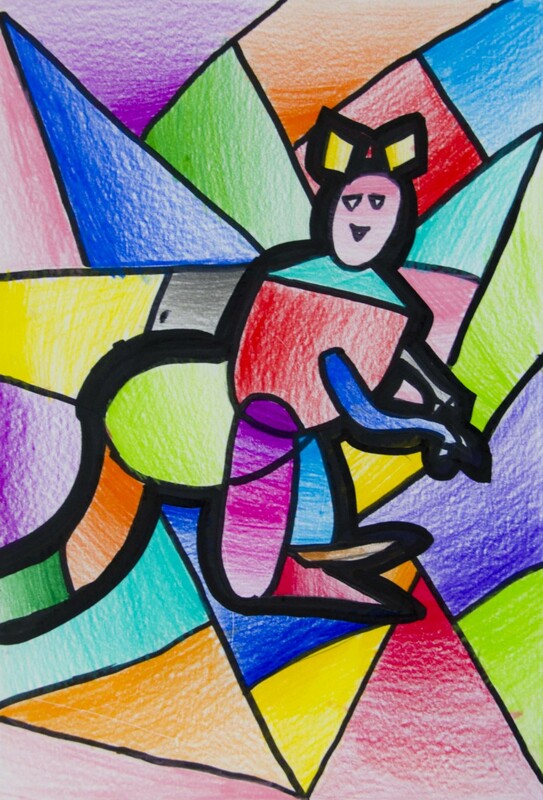 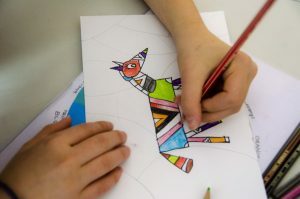 With 7th grade students we studied the Elements of Art like Shape and Forms while we also observed the works of Fortunato Depero, an important Artist of Italian Futurism (1892-1960). 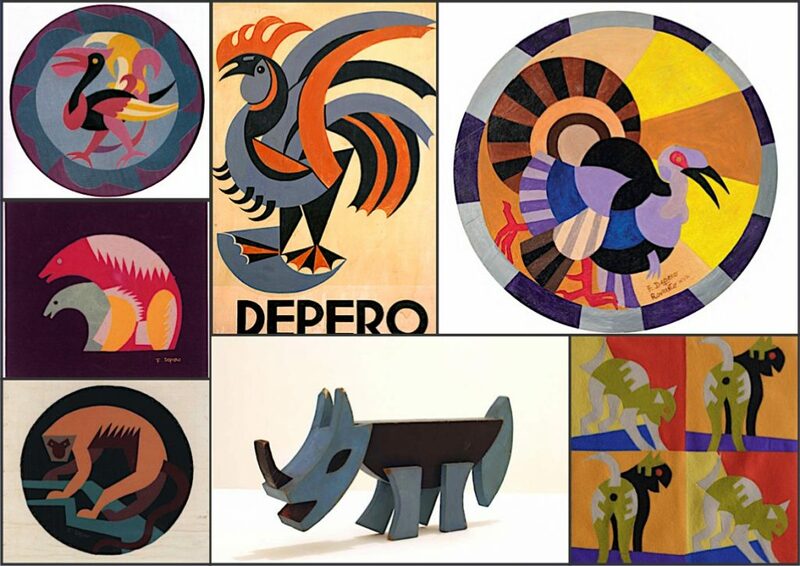 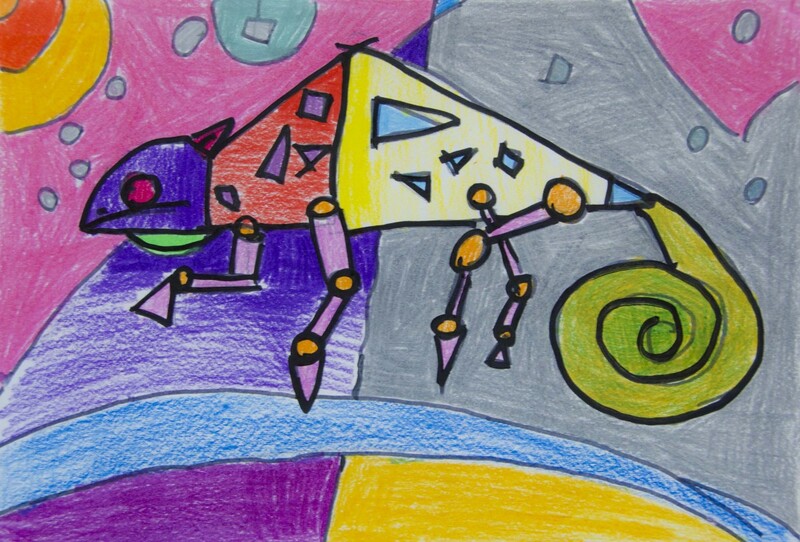 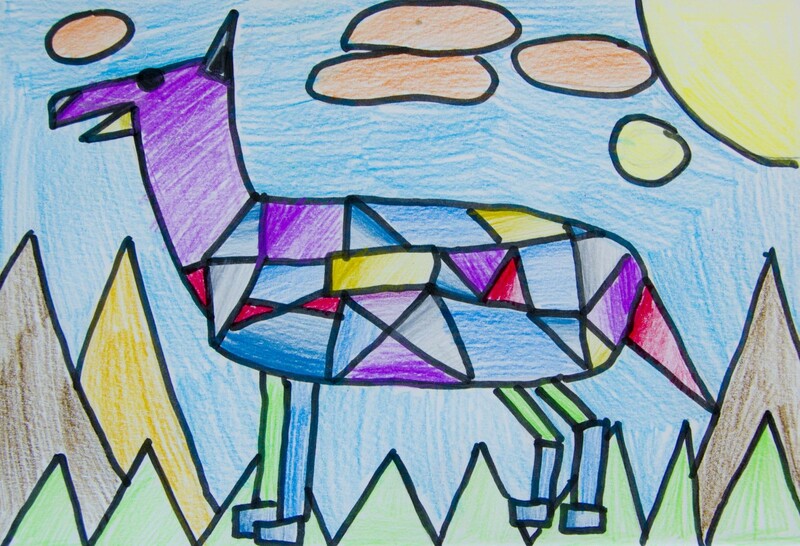 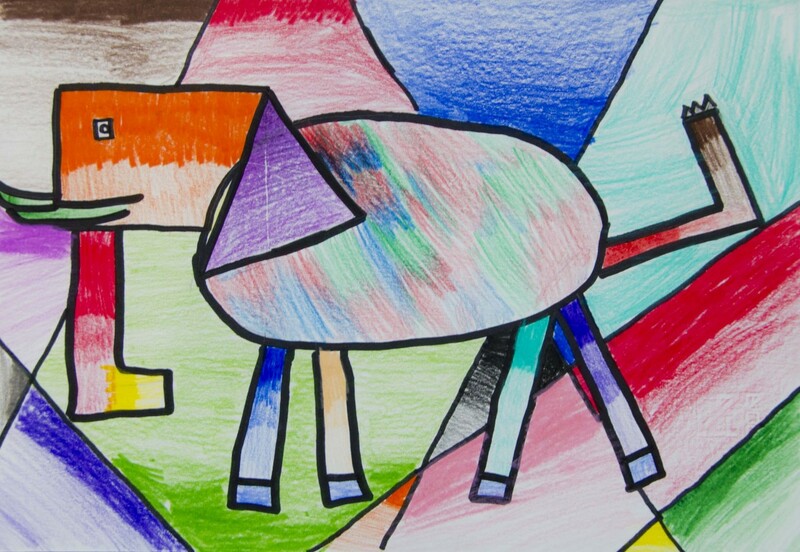 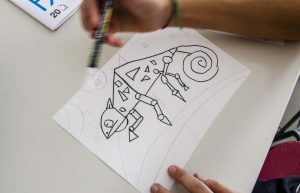 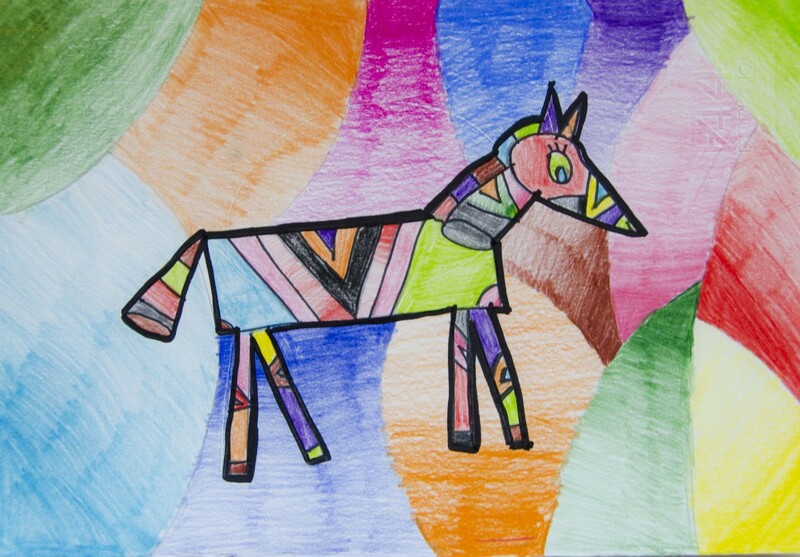 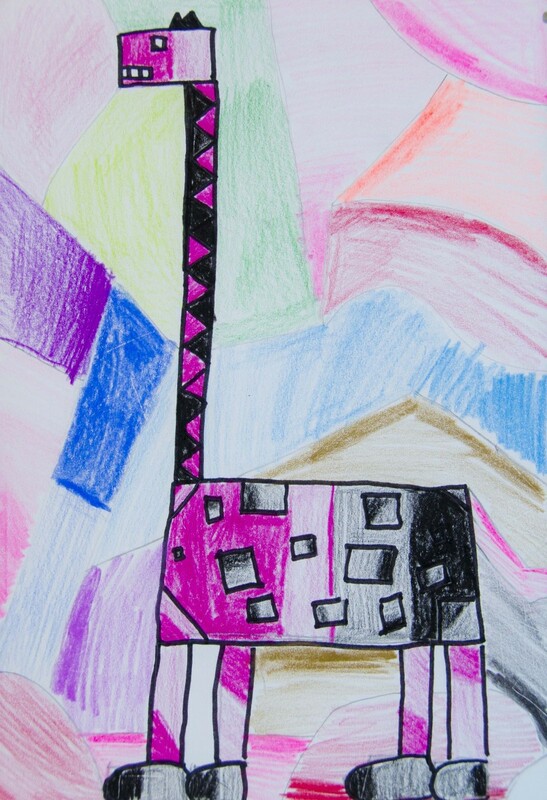 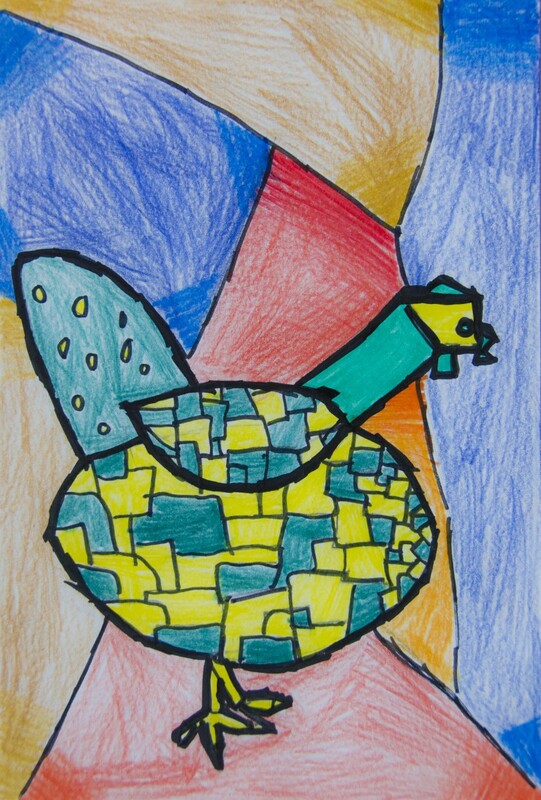 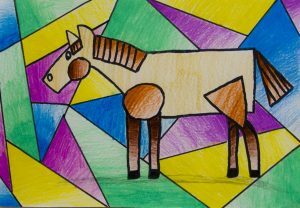 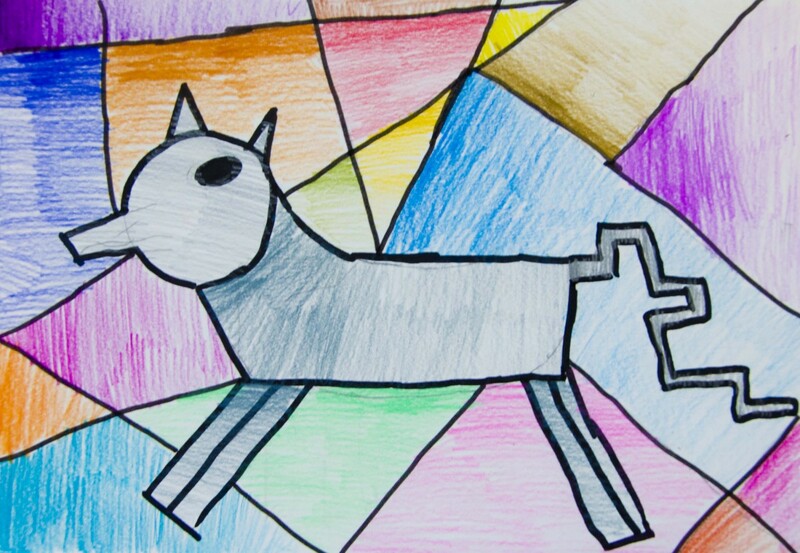 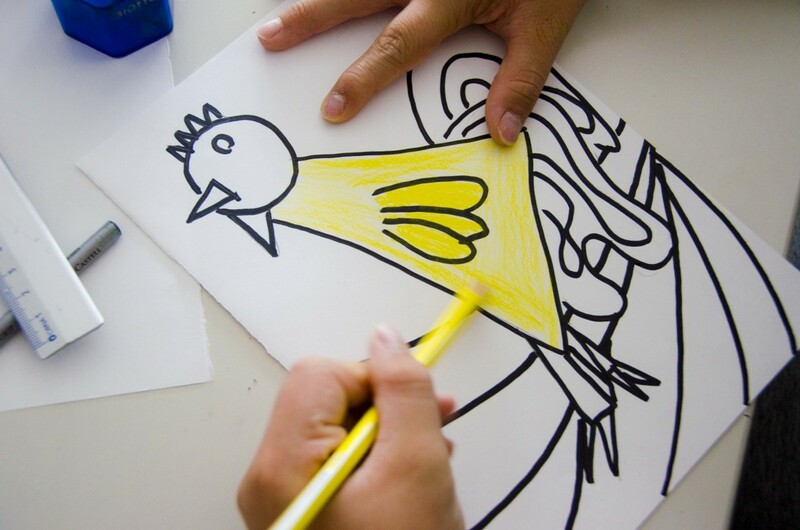 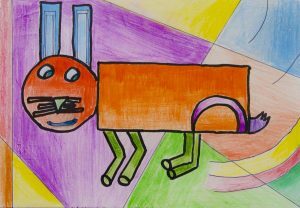 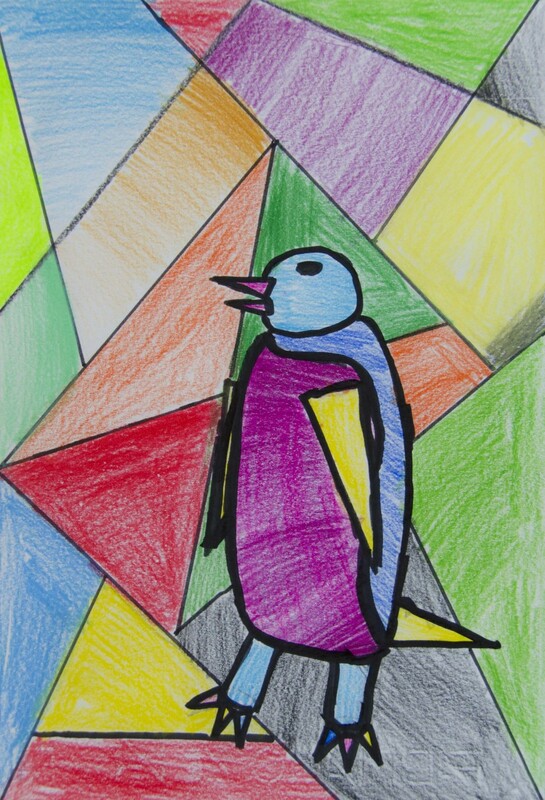 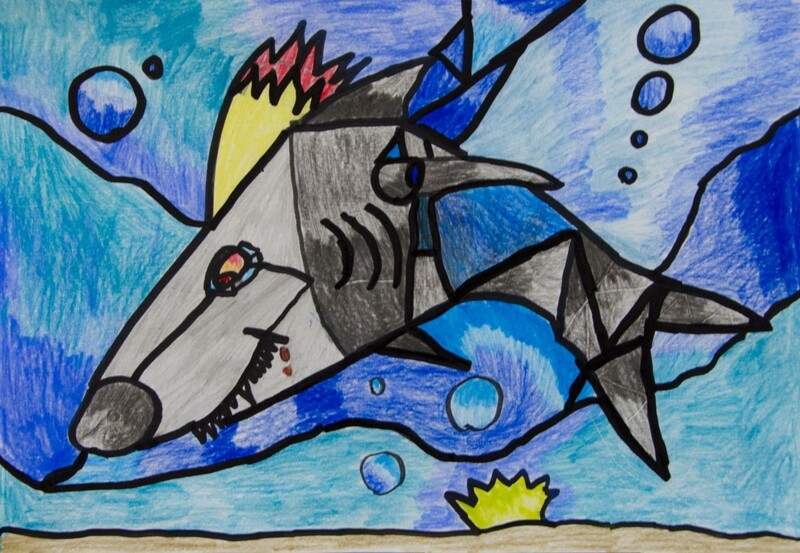 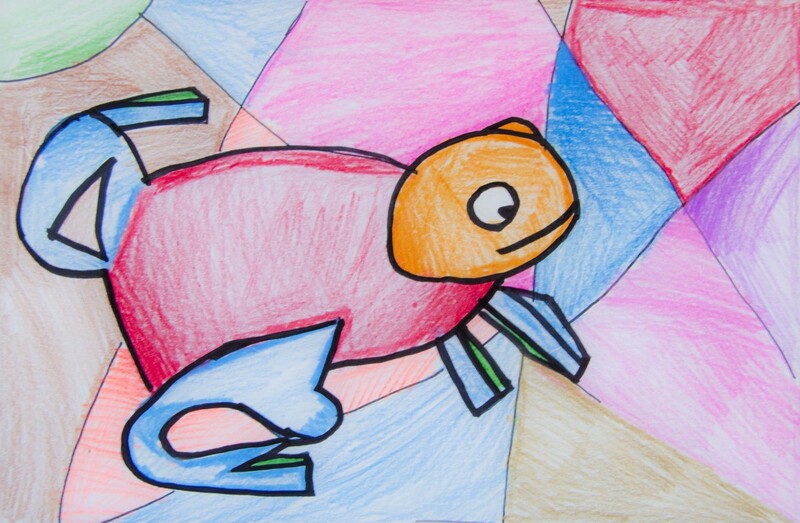 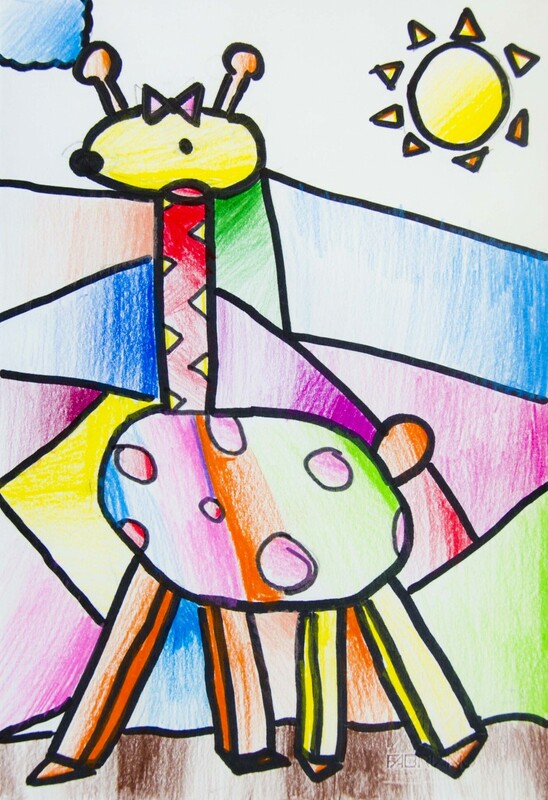 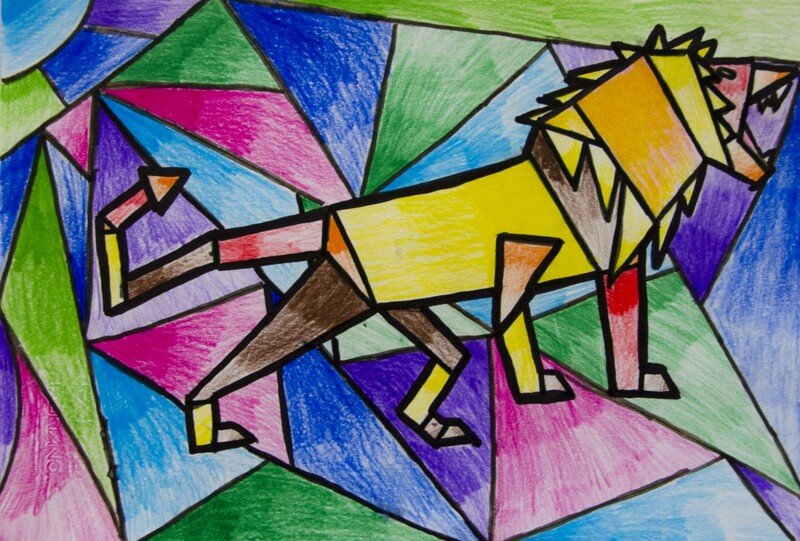 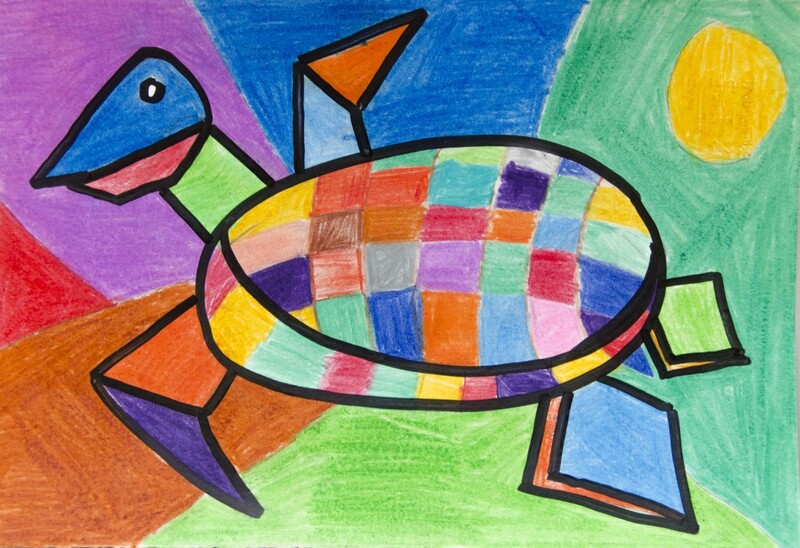 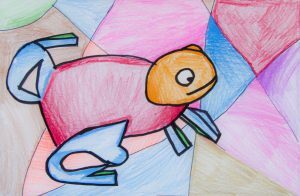 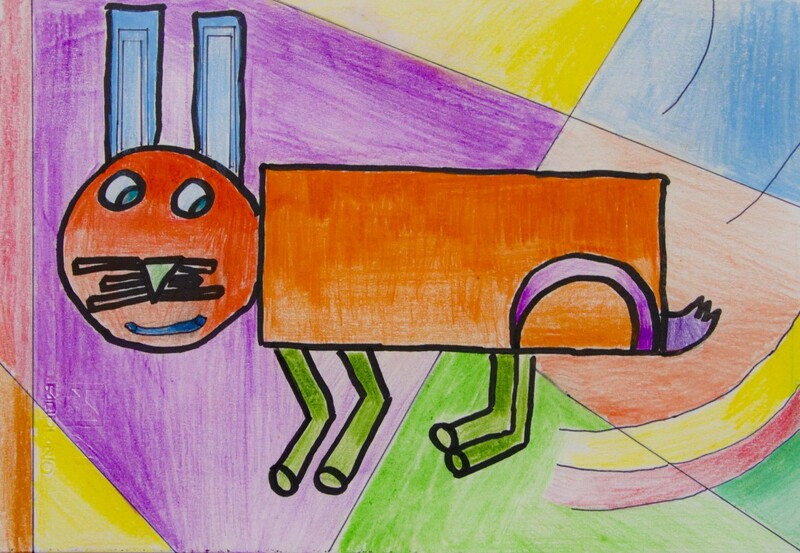 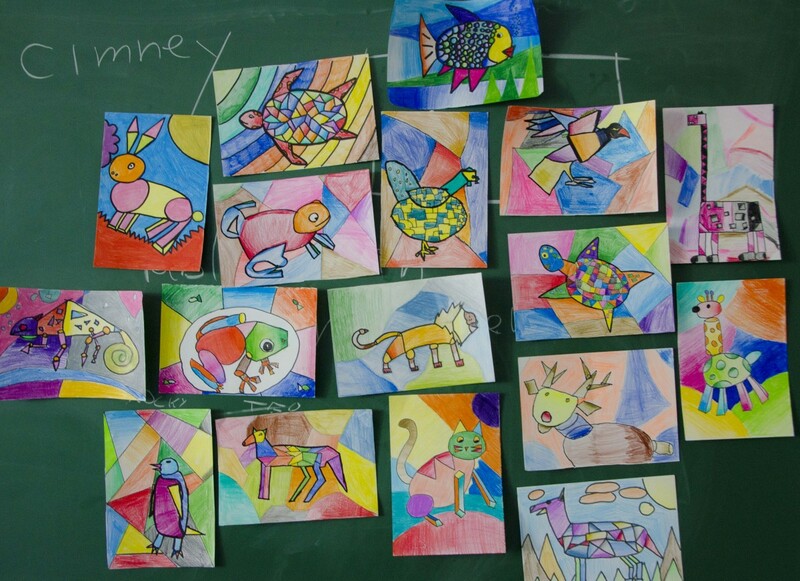 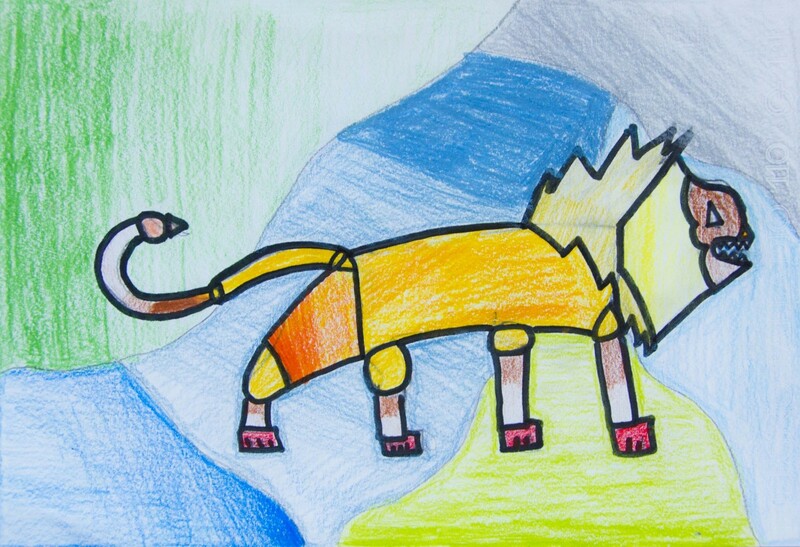 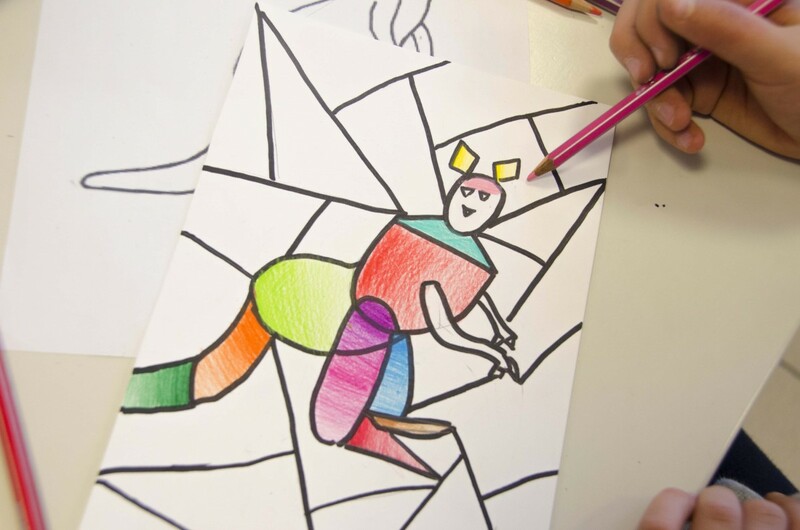 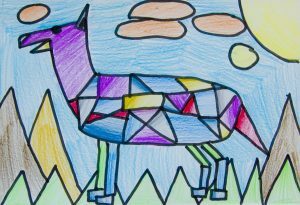 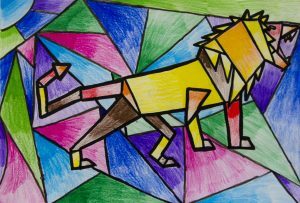 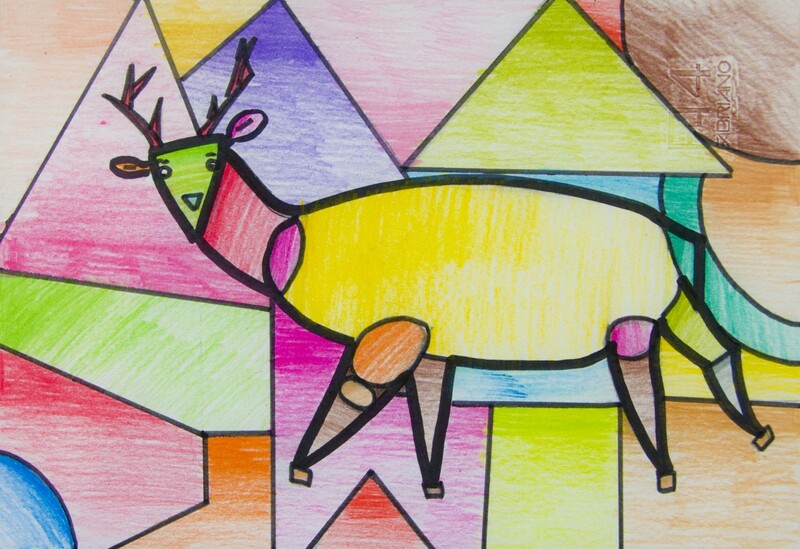 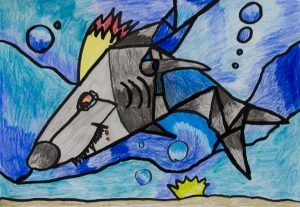 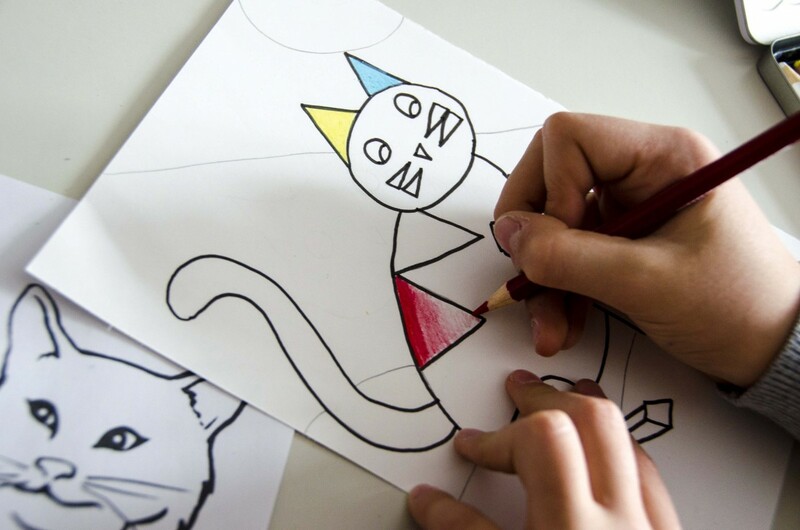 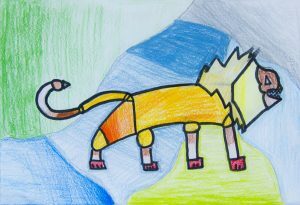 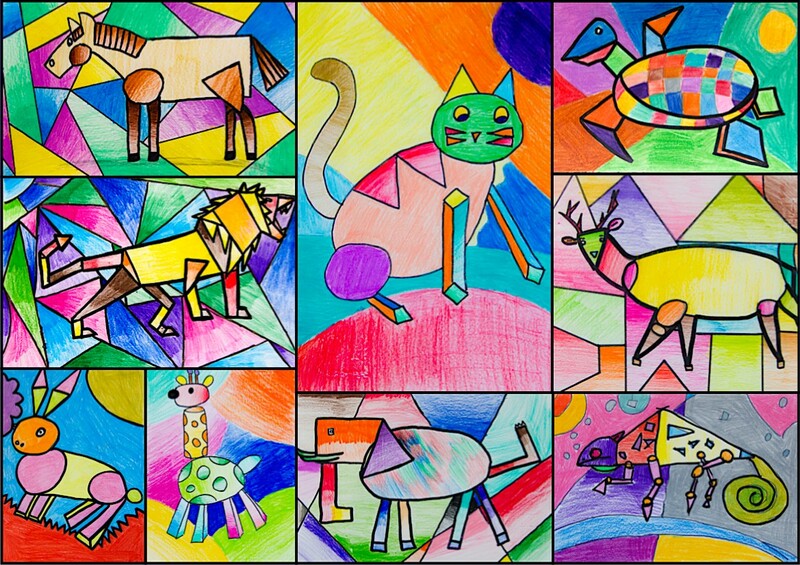 His way of stylizing the animals in simple geometrical shapes, inspired us to create these fantastic animals. 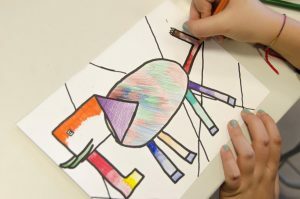 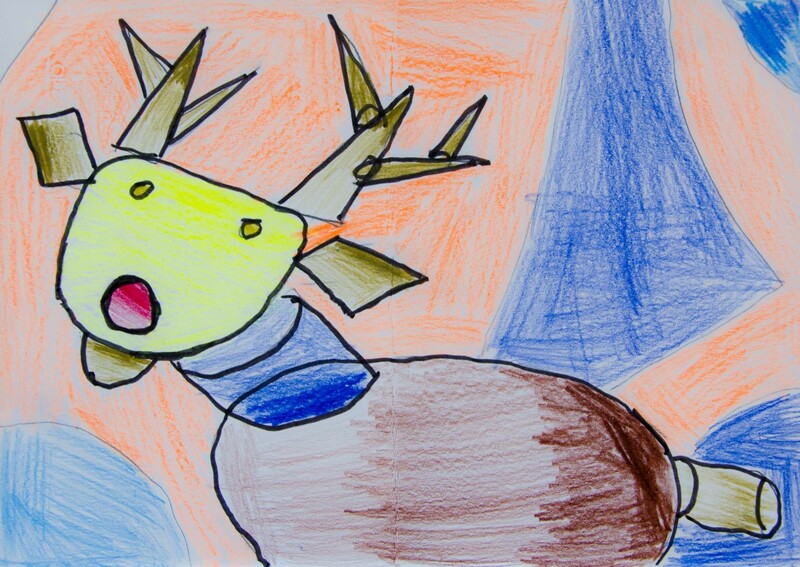 First students took cues from some animals templates and sketched our own simplified animals with a pencil. 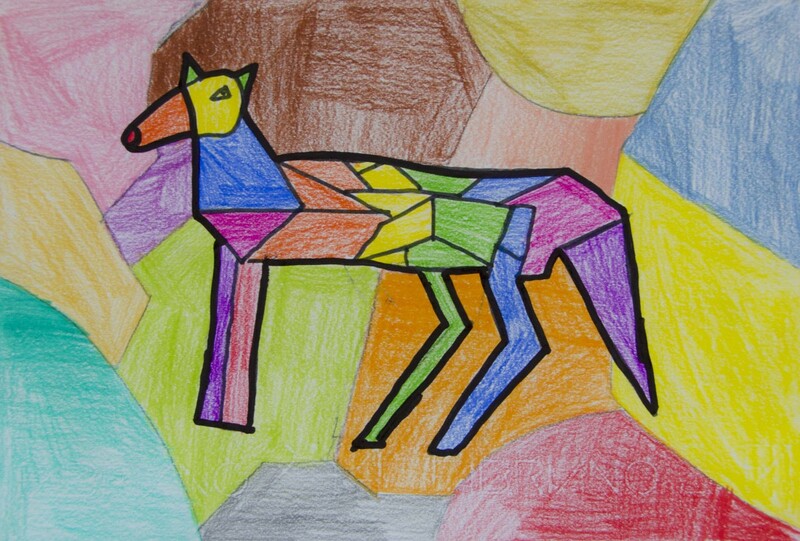 They composed the animals using circles, triangles, cones and cylinders, prisms and spheres. 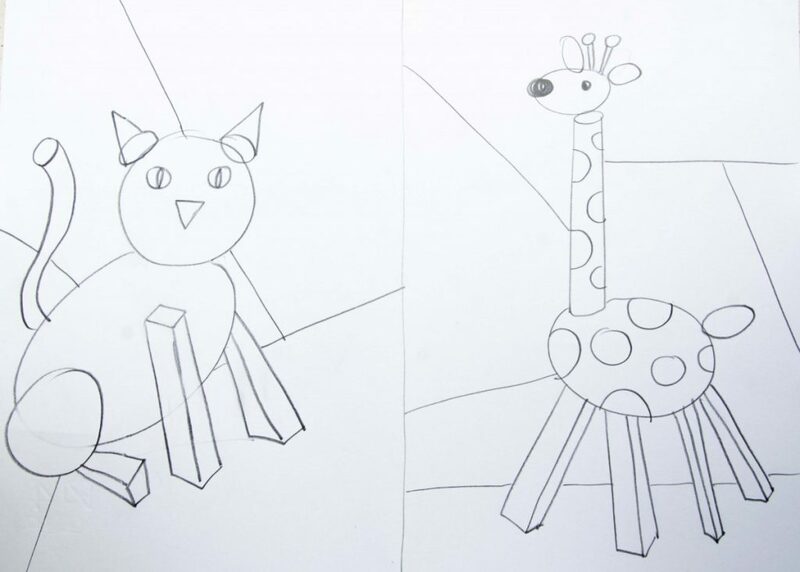 They transformed the realistic shape of the animal while still keeping it recognizable. 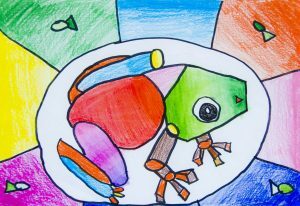 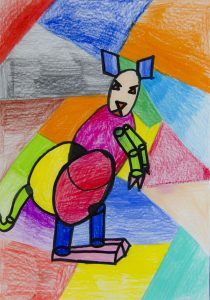 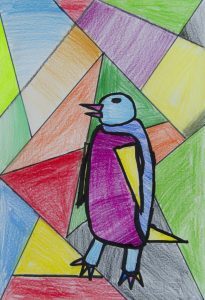 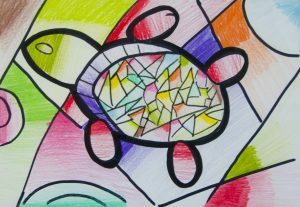 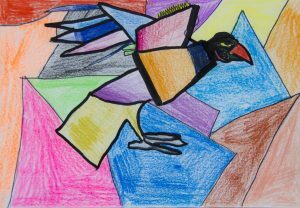 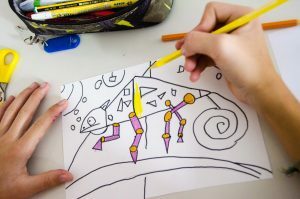 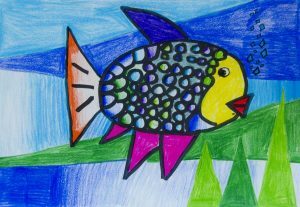 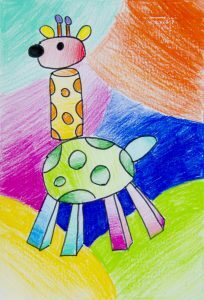 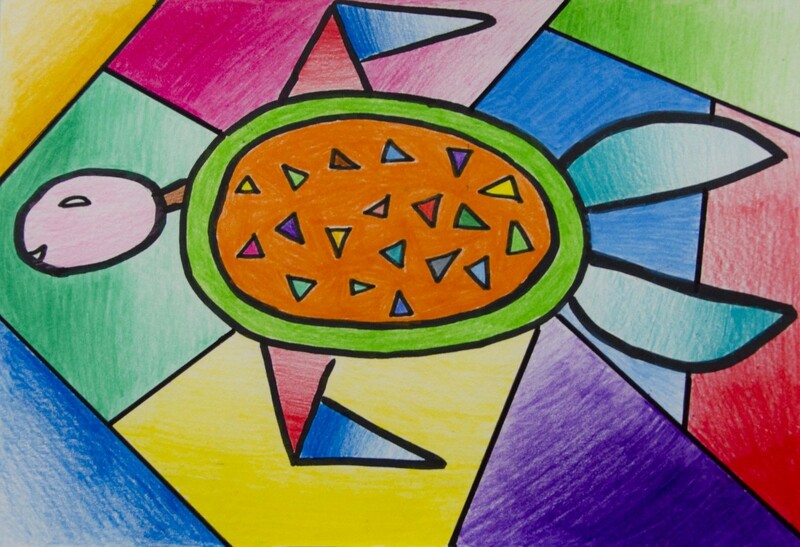 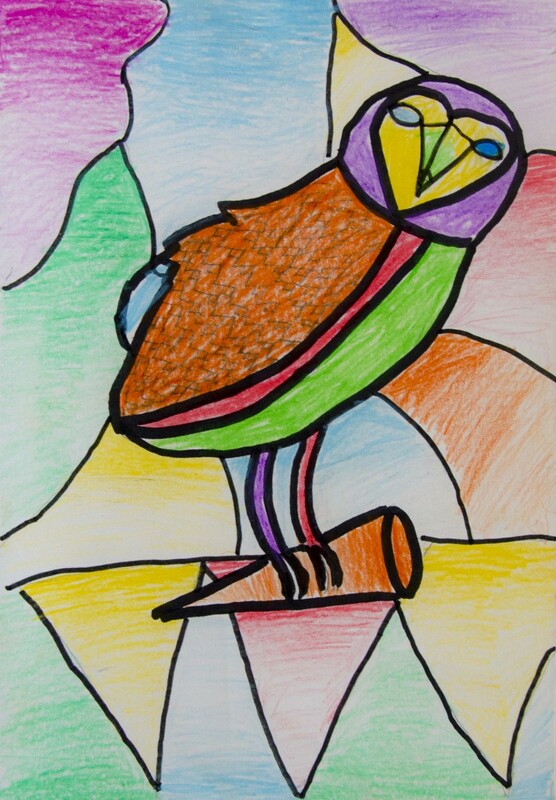 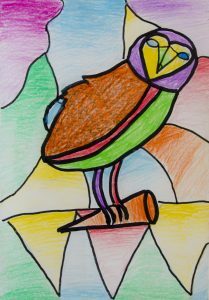 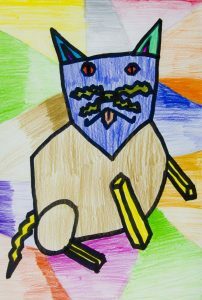 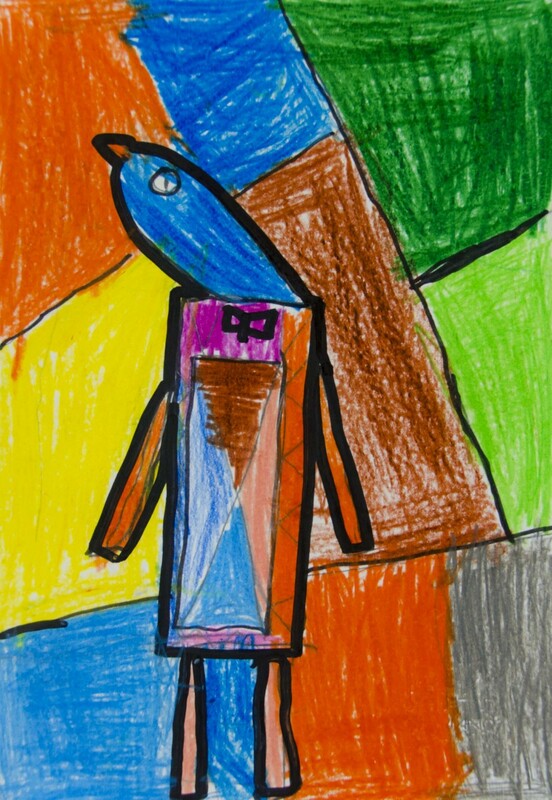 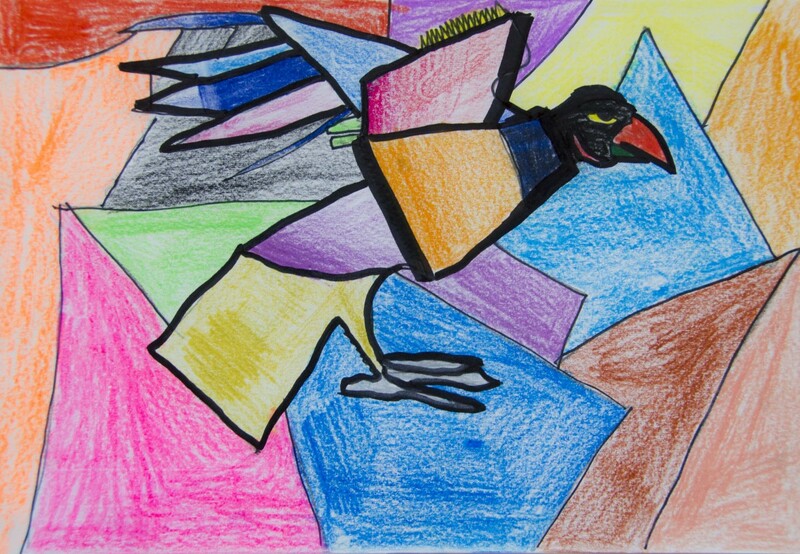 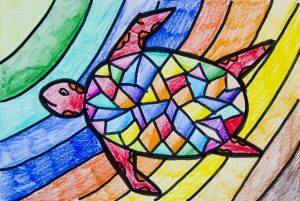 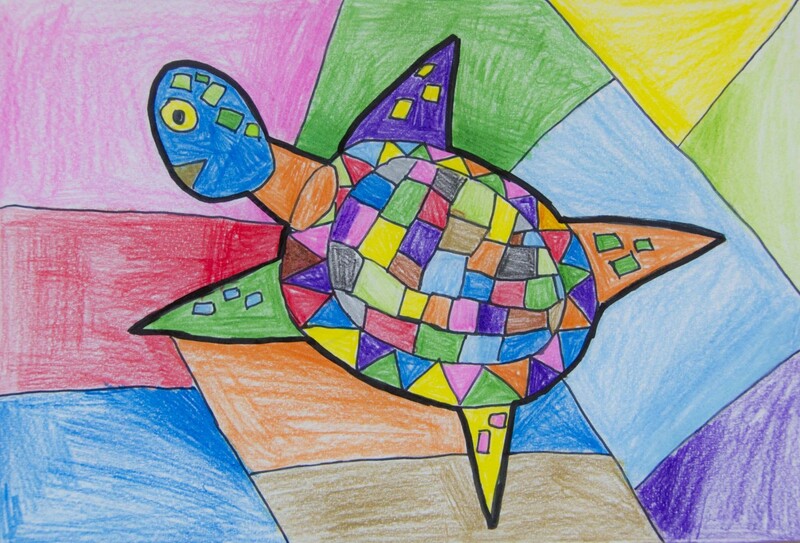 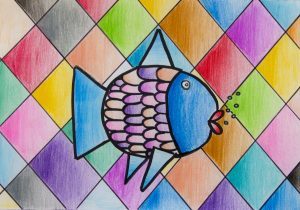 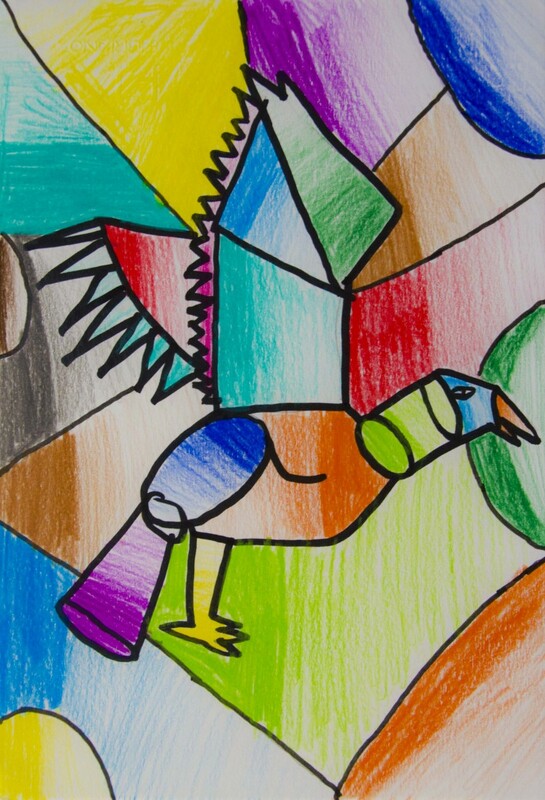 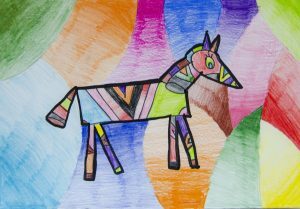 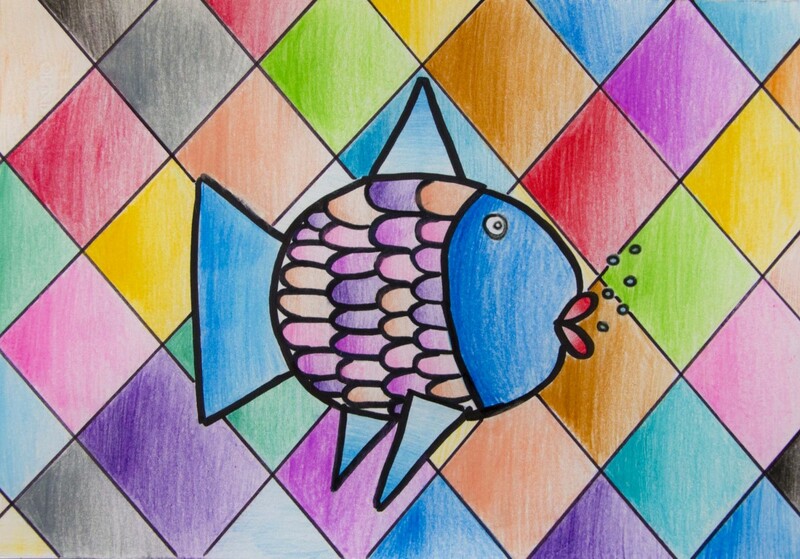 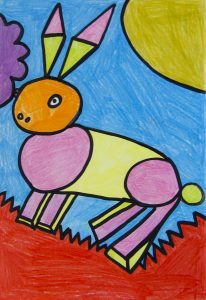 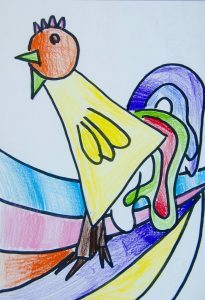 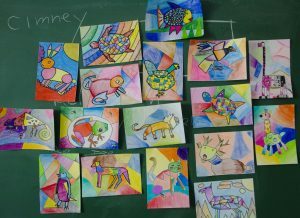 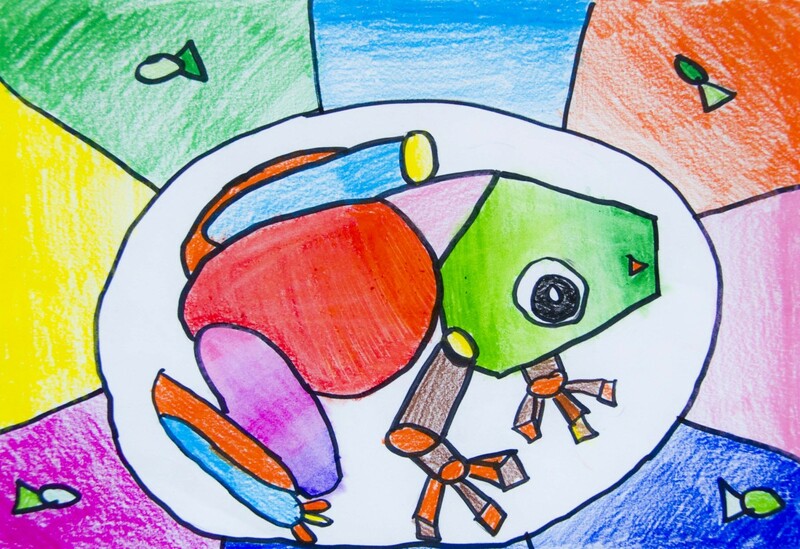 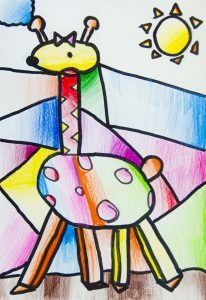 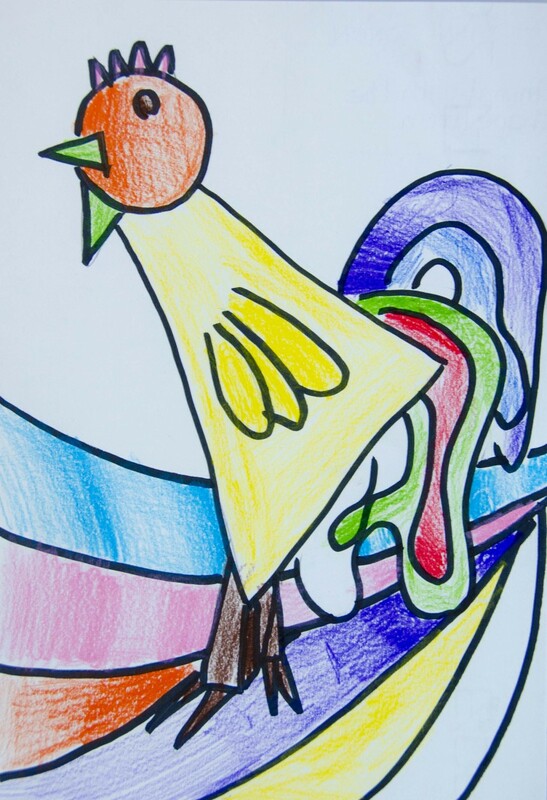 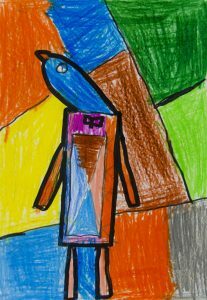 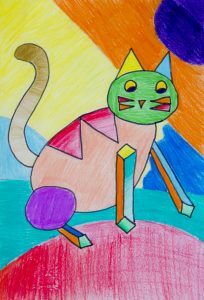 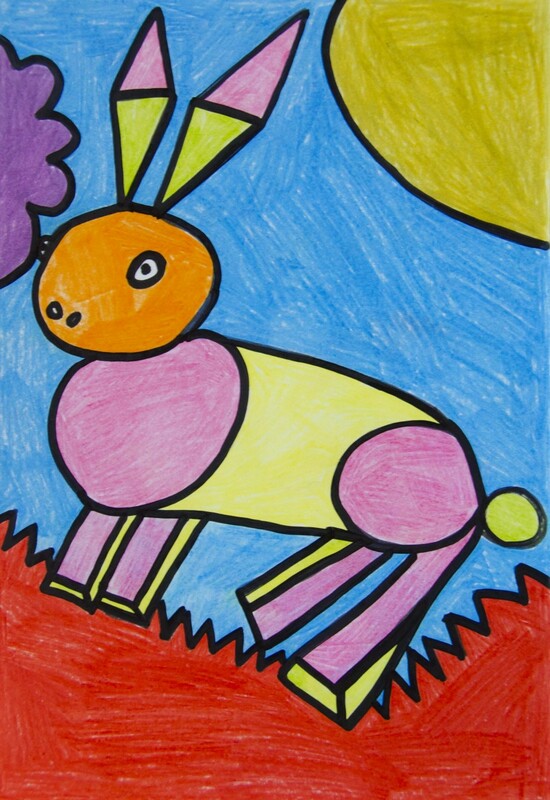 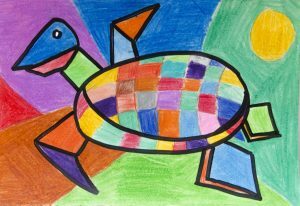 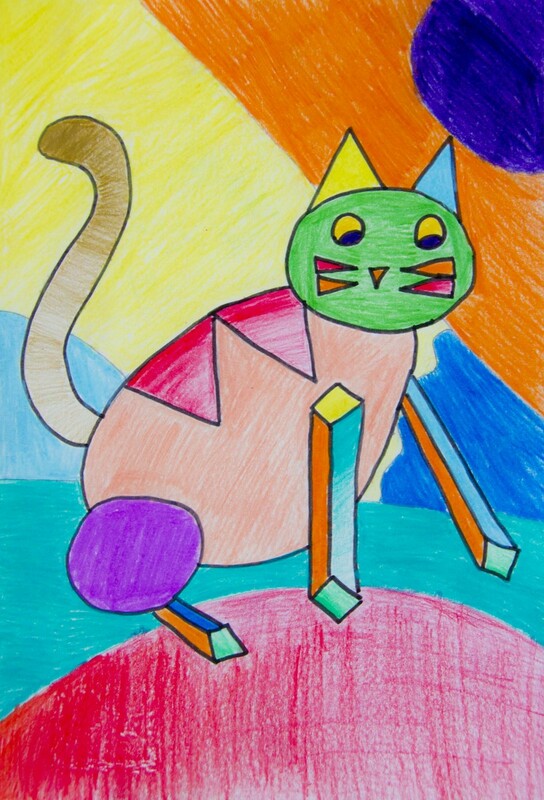 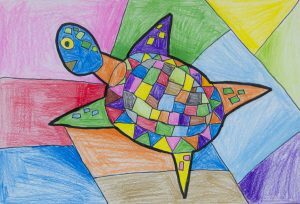 Then, students colored the drawings with colored pencils in fanciful colors. 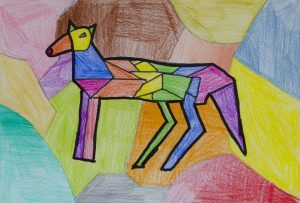 They colored some shapes solid while in other shapes they blended other colors from one color into another color. 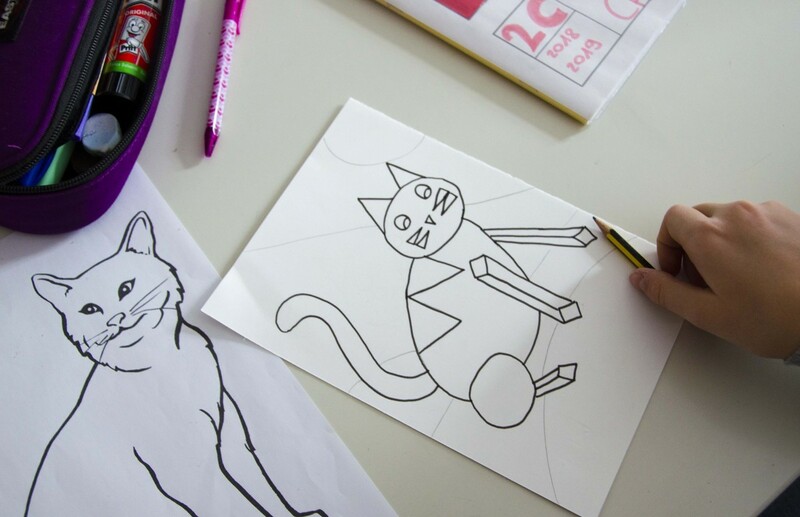 Finally, they outlined some shapes with a black marker.